You can display a Voki in your sidebar by pasting embed code from Voki in a text widget. Voki enables you to create an avatar in your own voice using a talking character. You can customize your Voki to look like you or take on the identity of different characters such as animals, monsters. 2. 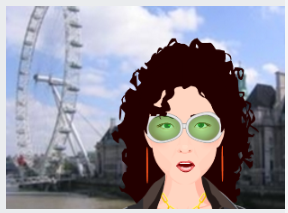 Set up a Voki account and then create your own Voki. 3. Once you have published your Voki grab the embed code (accessed by clicking on the Embed icon in the Share option). 4. Click on the text tab in a text widget in your sidebar. 5. 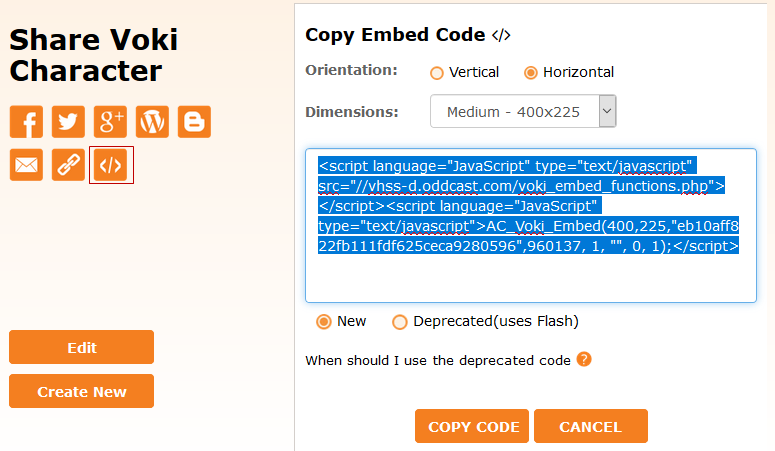 Paste the embed code from Voki in the text widget. 6. Click Save and then Close. 7. You should now see your Voki in your sidebar.